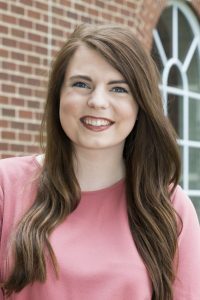 The University of Central Arkansas Center for Community and Economic Development has selected UCA undergraduate student Alexandra Taylor of Conway for the summer 2018 Community and Economic Development Fellowship. The fellowship will run May through July, with a site visit to a community and economic development organization occurring each month. “I really hope to gain more knowledge about economic development and learn more about how community leaders in Arkansas best serve their respective areas. I truly connect with the mission of the Center for Community and Economic Development, and I am looking forward to being a Fellow,” said Taylor, a senior public relations major. During the program, fellows participate in three site visits that showcase community and economic development activities at the local and state levels of government and in the nonprofit sector. Activities the fellows participate in include job shadowing, organization tours, mock interviews and mentorship from CCED staff. Fellows will also have the opportunity to join the Arkansas Community Development Society and attend the 2018 Community Development Institute. Fellowship activities are customized to fit students’ interests and needs. Taylor is a graduate of Conway High School and is a member of Delta Zeta sorority, UCA Association of Future Alumni, Colleges Against Cancer committee, UCA Diamond Dolls, Public Relations Student Society of America and the UCA Presidential Leadership Fellows. For more information on the CED Fellowship, visit: uca.edu/cced/community-and-economic-development-fellowship/ or call Shelby Fiegel at 501-450-5269.